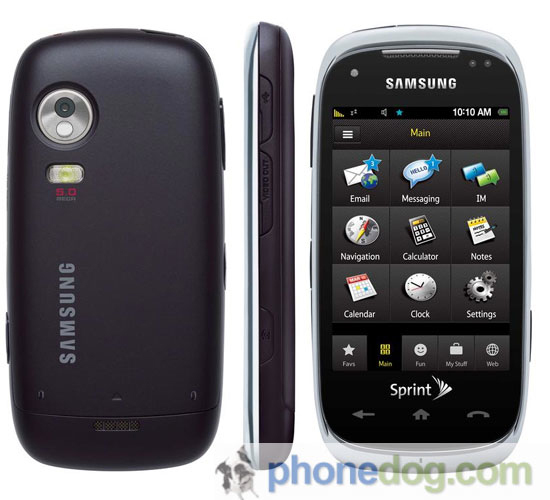 Samsung's Instinct HD launching on September 27? The long-rumored Instinct HD ranks extraordinarily high on our "man, we really wish this thing ran Android" list, but at this point, we just sorta want to get it out of the way so we can move on to the InstinctQ. How do we do that? Well, getting it released is a good start -- and PhoneDog has it on good authority that we can expect to see it on the 27th of the month for somewhere between $99 and $149, presumably on contract after rebate. The 5 megapixel cam and huge touchscreen are both great -- but with a variety of smartphones now available at the $99 mark and the 5 megapixel Hero just around the corner, it'll be interesting to see how this actually fares in Sprint stores. Samsung's Instinct HD launching on September 27? originally appeared on Engadget Mobile on Thu, 17 Sep 2009 09:14:00 EST. Please see our terms for use of feeds.